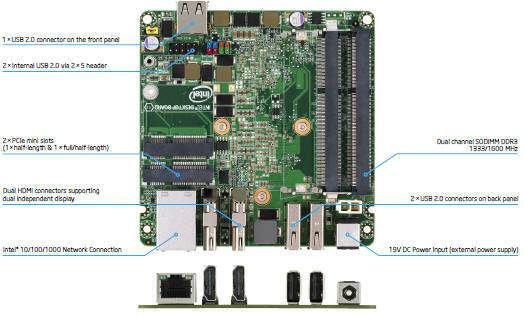 Enabling small system designs, Intel's Next Unit of Computing Kit DC3217IYE offers performance for digital signage and more. Exceptional Performance per Watt â€“ the Intel . 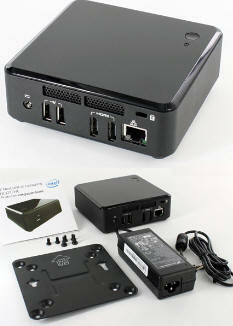 Next Unit of Computing (NUC). With a visibly smart Intel Core i3 processor in a highly customizable package, the NUC is a breakthrough in compact but impactful computing. Or use as attractive office-computer or server. 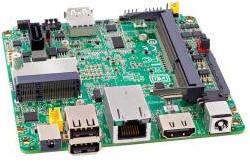 Chassis Dimension: 4.59" x 4.41" x 1.55"
Board Size: 4" x 4" Chassis Dimension: 4.59" x 4.41" x 1.55"
Board Size: 4" x 4"
Next Unit of Computing (NUC). With a visibly smart Intel Core i3 processor in a highly customizable package, the NUC is a breakthrough in compact but impactful computing. Drive two digital displays at once with dual HDMI. Get reliable connectivity through Gigabit LAN. Effortlessly move between applications with smart multitasking delivered by Intel Hyper-Threading Technology. UCFF Form factor The Intel Next Unit of Computing (NUC) Kit DC3217BY delivers stunning visuals and responsive performance in a pocket-sized solution. With a visibly smart Intel Core i3 processor, the NUC is a fully-scalable and complete unit of computing using the smallest possible form factor. What's more amazing is that such a small device can offer so much power in a flexible, customizable package. Great things come in small packages! Based on 34nm Intel NAND Flash Memory, the IntelÂ® Solid-State Drive 311 Series offers similar performance to a 2.5â€? 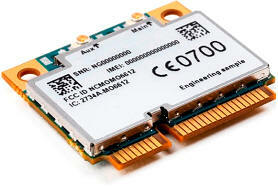 Intel Solid-State Drive (SSD), but in an eighth of the size. The compact mSATA footprint enables dual-drive storage for traditional embedded platforms, as well as a single drive option for innovative, low-power handheld devices. Great things come in small packages! Based on 34nm Intel NAND Flash Memory, the IntelÂ® Solid-State Drive 310 Series offers similar performance to a 2.5â€? 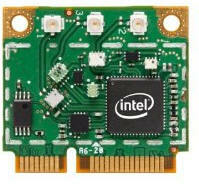 Intel Solid-State Drive (SSD), but in an eighth of the size. The compact mSATA footprint enables dual-drive storage for traditional embedded platforms, as well as a single drive option for innovative, low-power handheld devices. Great things come in small packages! Based on 34nm Intel NAND Flash Memory, the IntelÂ® Solid-State Drive 310 Series offers similar performance to a 2.5 Intel Solid-State Drive (SSD), but in an eighth of the size. The compact mSATA footprint enables dual-drive storage for traditional embedded platforms, as well as a single drive option for innovative, low-power handheld devices.